Perfect for the Prima Ballerina on your list this season, our Ballet Toe Shoes Glittered Glass Ornament is sure to bring joy to her face. Featuring a pair of delicate pink shoes adorned with just a hint of glitter, add a name and year for free. 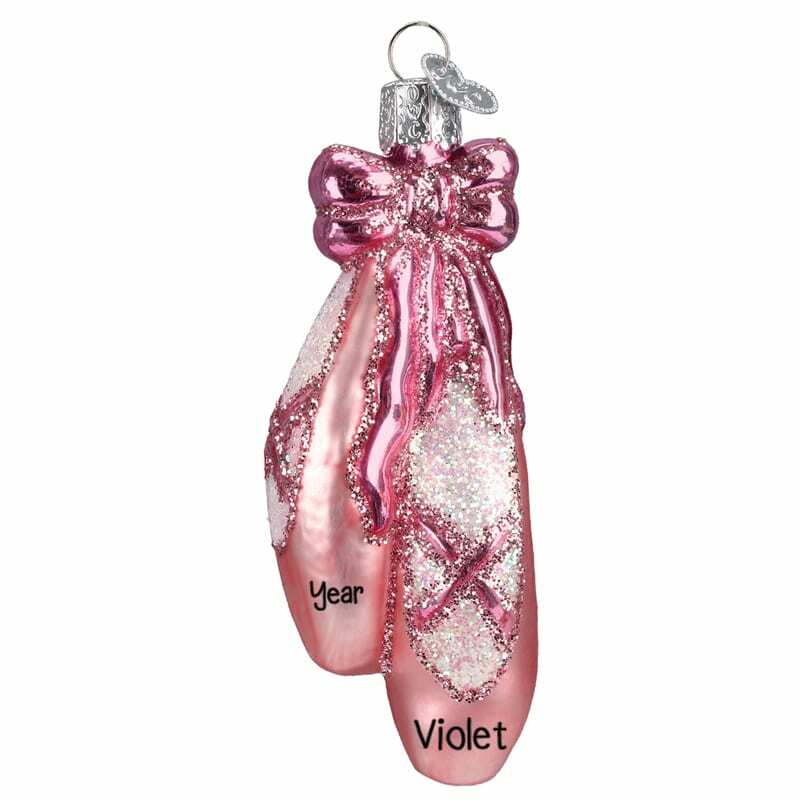 This keepsake will be on pointe with your dancer!